This week, UB's new Creative Arts Initiative launches the first of several pilot projects: the residency of Ensemble SIGNAL, which will feature a masterclass, an open rehearsal, and a discussion on artistic entrepreneurship, all leading up to Performance in the Dark, a concert in the CFA Black Box Theater featuring works by Steve Reich and Georg Friedrich Haas. The university-wide Creative Arts Initiative is "dedicated to the creation and production of new work upholding the highest artistic standards of excellence and fostering a complementary atmosphere of creative investigation and engagement among students, faculty, visiting artists, and the community." Through a number of programs aimed at exposing UB students to the richness of the Buffalo arts community—including artist residencies and innovative interdisciplinary course offerings—the CAI will contribute to UB's Strategic Plan by "creating opportunities for creative interaction between visiting artists, students and faculty, and the Buffalo arts community." "We feel a tremendous amount of energy in being able to create opportunities for people to interact with really high-level, excellent artists," says co-Director, David Felder, in the CAI's introductory video (see below), "We're talking about individuals and groups, companies as well as solo [artists]." One of the ways the CAI will engage students is through direct interaction with visiting artists. Ensemble Signal's residency is the first of many such engagements. The residency will feature a number of exciting events, beginning on February 10th with "Rehearsing in the Real World," an open rehearsal at which students will be able to witness how the ensemble works together to prepare Georg Friedrich Haas's famous String Quartet no. 3. Later that evening, Signal's leadership will host "The Entrepreneurial Artist," an open discussion and Q&A covering the ensemble's history, with the aim of empowering UB students in the creation of their own community projects. 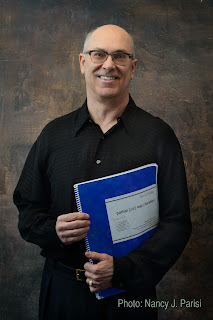 The following day will feature a public performance workshop and masterclass, at which Signal co-artistic director and others from the ensemble will coach UB music students, some of whose compositions will be performed later this semester. seem to map the space with tones, like bats using echolocation to navigate a lightless cave. […] Often, the music borders on noise: the strings emit creaks and groans, clickety swarms of pizzicato, shrill high notes, moaning glissandos. At other times, it attains an otherworldly beauty, as the players spin out glowing overtone harmonies. The CAI is currently accepting proposals for residencies from creative artists from all fields (music, film, plastic arts, visual arts, drama, writing, and architecture). This first open call aims to attract artists from around the world, with the aim of giving students the opportunity to interact with great artists who are not currently active in Buffalo. CAI Managing Director, Cynthia Stewart emphasizes that the initiative is seeking artists who will be actively creating at UB. Rather than bringing in a visiting artist to simply give a talk, the CAI seeks artists who will actually engage in artistic creation as part of their residency, with an emphasis on student involvement. "The call is really open with regard to how to incorporate student interaction," says Stewart, "but the more student involvement the better." Stewart stresses the lack of constraints on the scope of the residencies artists can propose. "It might be a micro-seminar or a master class. It might be a semester-long encounter. There are not a lot of strictures." The first open call has a deadline of March 1st, and the CAI is eagerly anticipating a variety of proposals from artists of diverse disciplines. One of the initiative's key new programs is the Arts One course. Aimed at introducing students to "a wide range of artistic performance and creative activity," the course consists of a unique approach: every week, students are exposed to a new artistic exhibition. Through a partnership with a variety of local institutions, including the Albright Knox, the Burchfield Penney Art Center, and the Buffalo Philharmonic Orchestra, students will attend a different event each week. "This course is deliberately designed to put students in direct contact with artists and arts organizations in a very topical way. Each semester will be very different based on what’s happening in Western New York," says Felder. This semester, the capacity-filled course will hear curator's talks at Hallwalls and the Albright Knox, attend concerts by Ensemble Linea, the BPO, and the Richmond Ballet, and will see performances by the Zodiaque Dance Company, among many others. "The aim is to demonstrate to students the difference between a live performance and simply seeing something on YouTube," says Stewart, "it also forces them off campus and allows them to connect to the creative riches in Buffalo." The Creative Arts Initiative was itself initiated through the hard work of co-directors David Felder and Bruce Jackson. "It was their brainchild," says Stewart, "and they've been beating the drum for it for a long time." Their vision was for an initiative that would see more investment in the creative arts, specifically. "It's based on the idea that creating is a different process from studying," Stewart explains. "Due to their work and persuasion we were able to receive a grant to get the initiative started, and using their relationships in the arts community we were able to assemble an excellent board. This gives us a good position to help visiting artists make a splash in the community and not just here at UB."